Several aviation blogs have touched on the subject of bird strikes recently, and it reminded me of a wildlife encounter I had almost exactly a year ago. The day started pleasantly enough. 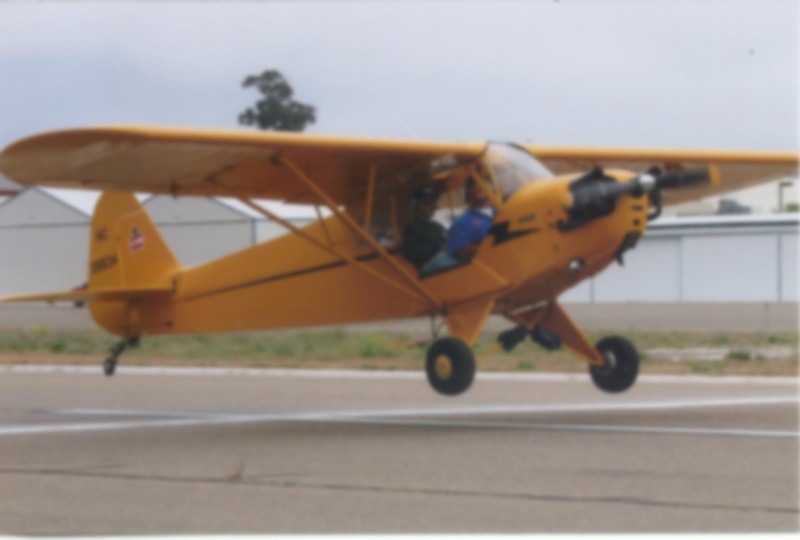 I met up with Dan over Chino and we formed up as a flight of two enroute to Crystal Airpark. We spent an hour or so with the builder of an RV-6 which was up for sale, after which Dan and I parted ways. He returned to Chino and I winged northbound toward Lake Isabella to pick up some folks for Angel Flight. I dodged thunderstorms most of the way, arriving a few minutes late only to discover that a) I’m the last AF pilot to arrive, and b) two pilots cancelled so unless I can take an extra person, they’d be stranded there. Plus there’s a lot of extra luggage. So we try to see how much of it we can fit in the plane. Would you believe 14 duffle bags and sleeping bags? Plus 50 gallons of fuel. Plus three passengers. And yours truly, of course, who tips the scale at 200 lbs. The baggage compartment was a solid wall of bags all the way up to the window. There were bags under the rear seat. They were holding luggage on their laps. Bags in between the seats. My flight bag (which is quite large) was under my legs. Then as we taxi out I notice it’s 105 degrees. And at the end of the runway, of course, is…. a huge lake. So I add 10 degrees of flaps, add full power, and decide where my “no go” point will be on the runway. Suffice it to say the plane got off the ground very quickly. Not that I doubt the POH’s takeoff distance charts, of course. But when it’s 45 degrees above standard, some serious interpolation must take place to accurately predict aircraft performance. She didn’t climb more than 500 fpm, but that’s fine. Good job, Ron. Nothing can stop you now! Except perhaps a bird strike. It was over pretty quickly. A large flock passed by the nose, and out of maybe 30 birds, only one got caught. The ultimate ‘zigged when he should have zagged’, eh? These birds were moving so quickly that there was no avoiding the collision. If you’ve ever encoutered a helium balloon on departure, you’ll know what I mean. It appears out of nowhere and is gone before you can even process what you’re seeing, let alone take evasive action. There was no damage to the airplane. Not even the slightest nick on the prop. But it sure was a mess, and naturally I’d just cleaned the plane the day before. After landing at Brackett Field, I found pieces of the bird(s) on the prop, cowling, windshield, top of the wing, bottom of the wing, wing tip, wheel fairings, belly, and vertical stabilizer. Imagine putting a piece of food in a blender but leaving the lid off. Wheeee! It didn’t qualify as a prop strike since there was no slowing or stoppage of the propeller. The bird was, thankfully, rather small. Even so, blood is like oil. It doesn’t take much to really look bad. Oh, and did I mention how fun it is trying to get a pop-up IFR clearance into POC when a dozen other AF pilots are trying to do the same thing? I got vectored around for nearly 30 minutes. Made a lovely approach, great landing, and expected the usual “taxi to parking, monitor this frequency” from the tower. Instead, he says “Contact ground”. Well my front seat passenger was holding the approach plates for me (rule one: use all resources), and after we landed he started leafing through it, so I didn’t have the ground frequency on hand. Now I could have pulled the data out of the GPS or loran, or fished through the CA Pilot’s Guide or Airport/Facilities Directory. But it’s been a long day, I’m hot, my airplane is covered in blood, and the AF/D is buried in a flight bag which is stuffed under my seat. So I decide to just ask the tower if they can give me the frequency.